Built in 2009, this lovely light-filled residence is across the street from "the window to Mystic lake" (the upper lake). Easy access via a pathway down to the end of the lake. The homes floor plan was designed to capitalize on the magnificent views of Mystic Lake. The home has a flexible open floor plan with the kitchen and living/dining room on the first floor along with a large first floor bedroom with attached bathroom that could be used as an alternative master or a guest bedroom. On the second floor, the master bedroom has a expansive walk-in-closet and 2014 completed master bathroom with shower and barn-style shower doors. The other two bedrooms on the floor are all nicely proportioned. Ample closet space throughout as well. The kitchen walks out onto a level backyard with extensive landscaping and stone work done in 2014. Four car garage and central air are added features. 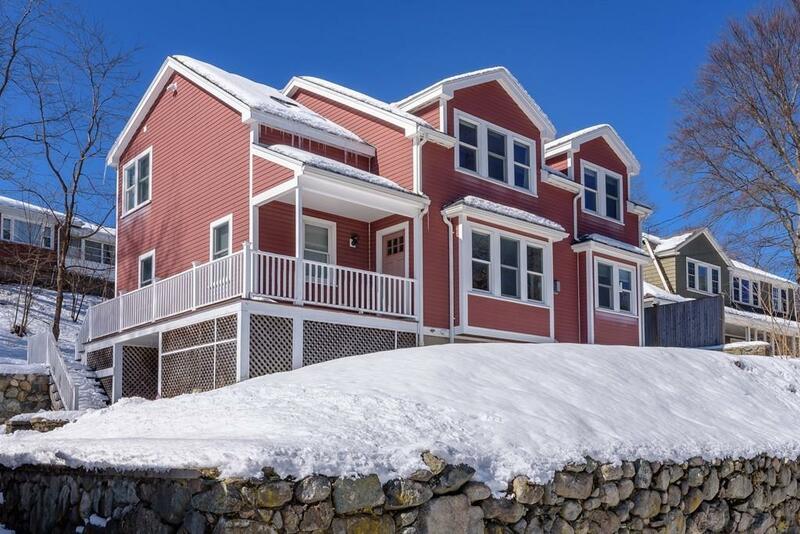 Close proximity to Arlington Center, Robinson Library, Medford Boat Club & minuteman bikeway.